Italy is brimming with culture, food and style. From the Amalfi coast to the Alps, it’s no wonder why Italy is lovingly referred to as Bel Paese, or ‘the beautiful country’. But where to start? With its leaning towers, smoking volcanoes and colourful coastlines, there’s plenty to see in Italy. We’ve broken down one of Europe’s most diverse countries into five main regions, with a couple of great holiday destinations for each. Which one will be your favourite? Italy’s business capital, the Northwest is home to the fashionable financial hub of Milan and the port city of Genoa. Banked by the Alps and lined with some of the most picturesque coastline the country has to offer, North-western Italy is truly spectacular. With the grand Gothic Milan Cathedral, it’s easy to forget that Milan is Italy’s modern business capital. 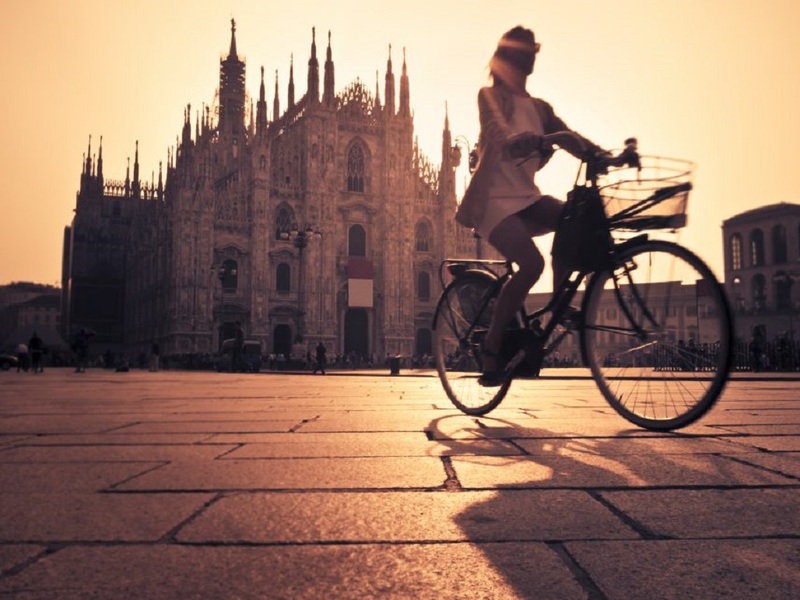 Despite developing into a sprawling metropolis, rebuilt after World War II, Milan has preserved a wealth of historic sights. As well as the Duomo di Milano, Milan is home to the medieval Sforzesco Castle and the fantastic Santa Maria delle Grazie, a UNESCO World Heritage church and home to one of the most famous paintings in the world, Leonardo da Vinci’s ‘The Last Supper’. By contrast, you can also find stunning samples of modernist and art deco architecture alongside designer shops and Michelin-starred restaurants. For a rural escape, discover the ‘Five Lands’ of Cinque Terre; pastel-coloured towns clinging to a small portion of coast on the Italian Riviera. Difficult to reach by car, these quaint clusters of colourful dwellings are better accessed by train or boat. For anyone who fancies stretching their legs, there are some spectacular walking trails between each town, offering some stunning coastal views. If the famous five are on your wish list, keep in mind that there will now be a ticket system to limit the number of visitors to this popular region to help preserve the local culture that has defined Cinque Terre as a UNESCO World Heritage site for the last 20 years. From the heights of the dramatic Dolomites to the lazy canals of Venice, northeastern Italy has a lot to offer. A feast for your eyes and stomach, Bologna is perhaps the food capital of Italy. Situated in the Emilia-Romagna region, you’ll be able to sample famous delights such as fresh pasta, balsamic vinegar, parmesan and of course bolognese when taking a culinary pilgrimage here. On the northeast coast lies Venice. This famous city occupies an archipelago of some 117 islands, where gondolas punt down a labyrinth of waterways flanked by Venetian Gothic architecture. 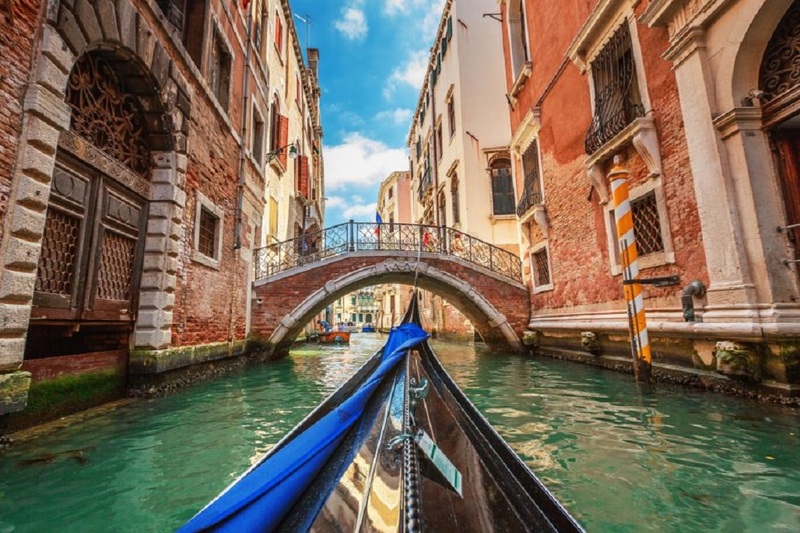 Venice is a tourist favourite, so it’s good to keep that in mind when booking a holiday to Venice; spring and autumn offer comfortable weather but with less crowds, giving you space to appreciate the City of Masks. Lake Garda is roughly halfway between Venice and Milan. As the largest lake in Italy, it’s a popular holiday destination with lakeside towns, islands, castles and mountains – an amazing location to relax under the crisp alpine skies. The area affords fantastic walking opportunities, with water sports and a popular theme park in the south of the lake for the thrill seekers out there. In central Italy, you’ll find some of the country’s most iconic sites, including the rich capital of Rome and the famous Leaning Tower of Pisa. Florence is the capital of the Tuscany region, and home to one of the country’s finest collection of Renaissance art. Head to the Galleria dell’Accademia and set eyes on Michelangelo’s masterpiece, David, or visit the Uffizi to see works by the region’s most influential artists. 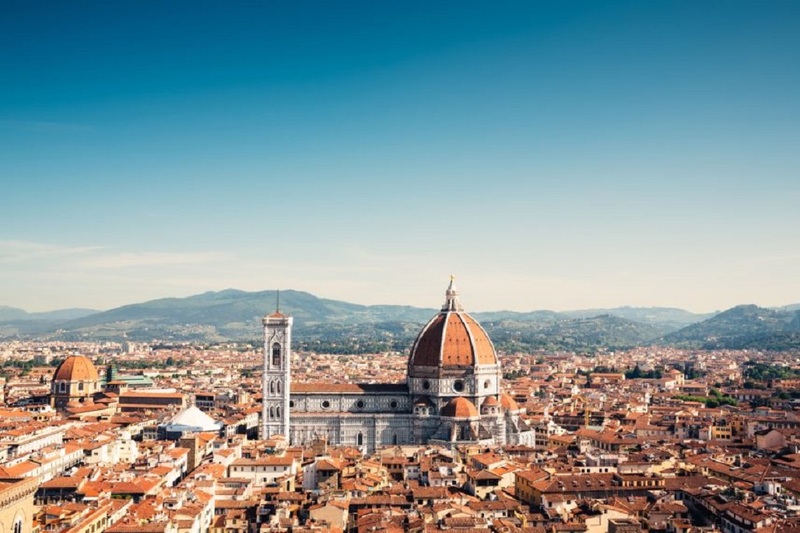 Florence’s skyline features the famous terracotta dome of Florence Cathedral, placing this city firmly on the map of Italy’s most recognisable places. When it comes to famous cities, it doesn’t get much more iconic than Rome. Once home to the Roman Empire and the origin of western civilisation, Rome is steeped in history and mythology that you’ll be able to explore with the likes of the Colosseum and Vatican City on your doorstep. The south of Italy boasts some of the country’s most beautiful coastline and is the birthplace of pizza in Naples, one of the oldest cities in the world. Exploring the boot of Italy, you’ll encounter ancient Greek cities and the region of Puglia, famed for its conical-roofed stone houses. 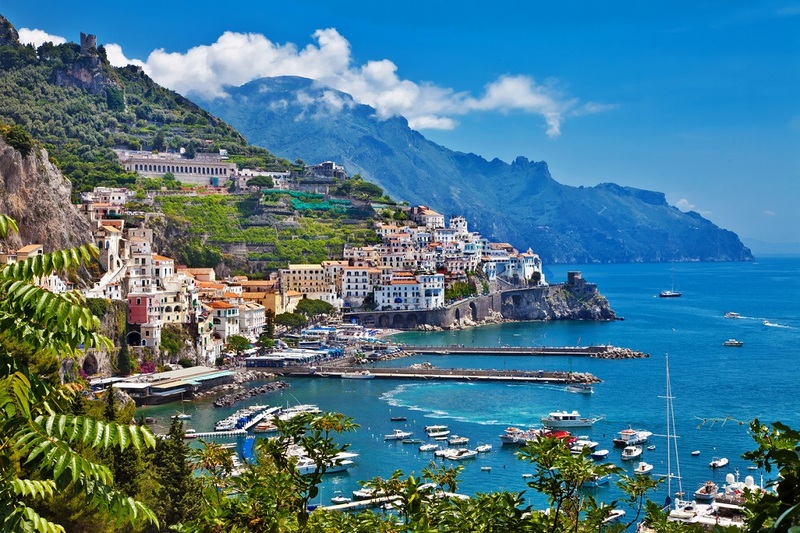 The beautiful Amalfi Coast stretches over 30 miles of the stunning Sorrento Peninsula, punctuated by colourful coastal towns, such as Positano, Ravello and the aptly named Amalfi. Dramatic green cliffs run along the shimmering Mediterranean Sea, the perfect backdrop for these romantic fishing ports. Feel poetic in Positano, where countless artists have penned some of their best work, no doubt inspired by the picturesque town that offers brilliant coastal views. This area is well-known for producing some of the world’s best lemons, so it’s no surprise that Limoncello is a popular choice in this region. Naples’ name originates from the Greek ‘Neapolis’, meaning ‘new city’, which sounds ironic today as Naples is one of the oldest cities in the world. Walking through Southern Italy’s largest city is like a trip back in time, with countless historic points of interest. The brooding Mount Vesuvius overlooks Naples, where it famously erupted in AD 79, covering Pompeii and Herculaneum in volcanic ash. A visit to Pompeii today offers a fascinating look into life in Italy hundreds of years ago, before this area was frozen in time by the once dormant volcano. Away from the mainland, Italy’s islands are no less popular with tourists, with generous helpings of beach, cuisine and history up for grabs. Sicily is the largest of Italy’s islands, and is in fact the biggest island in the entire Mediterranean. The island’s history is one of Greek, Roman and Arabian origins, so you’ll see a unique blend of traditions that have formed the Sicilian culture today. Sicily is also home to Mount Etna, an active volcano on the east coast, offering a steep but rewarding walk for anyone up to the challenge. The island’s capital, Palermo, has ornate architecture, bustling back streets and a beach of golden sand that surrounds its turquoise bay. Way out to the west is Sardinia, another large Italian island, dotted with mysterious megalithic ruins and surrounded by nearly 2,000 kilometres of coastline, with white sandy beaches. 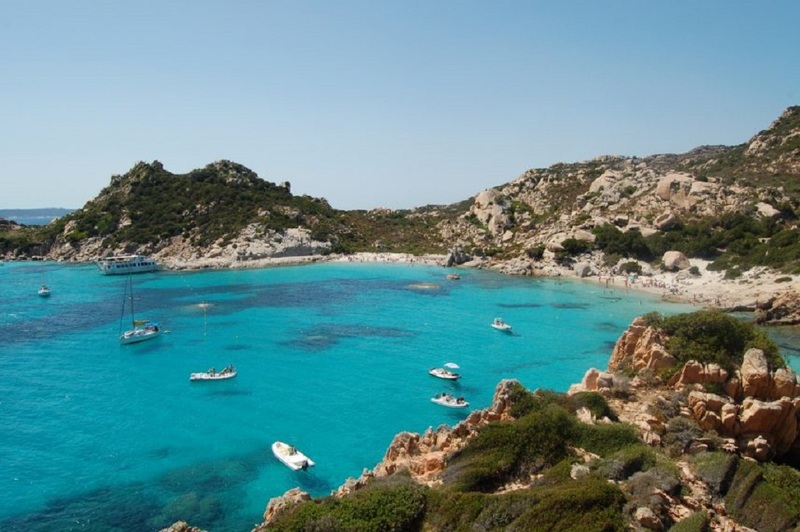 Sardinia is for those looking to escape the bustle of the mainland and enjoy the island life, making the most of the Mediterranean climate, taking dips in the crystal-clear waters and exploring sleepy fishing villages.